IT WAS A PLEASURE TO MEET THE MAN BEHIND THE MUSIC THIS IS TRULY A BLESSED AND ANNOINTED MAN "MAY YOU CONTINUE TO BLESS AND INSPIRE THE PEOPLE. A masterful and inspirational compilation by Chief Eaglefeather! We were most delighted to listen and enjoy this truly remarkable and inspirational CD. The beautiful music and soothing lyrics of this compilation transcend both time and space. 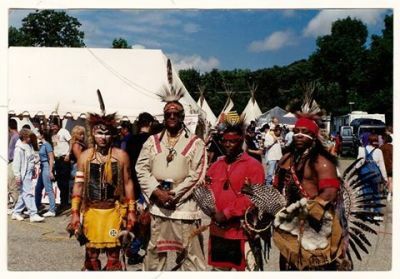 Chief Eaglefeather's music captures your heart strings and touches your soul. Soothing, Mystical and Magical sounds. Never heard anything like it. One of the most beautiful Native American CD's I've ever heard. Cheif Eagle feather puts his entire spirit into it's making. I could not believe that was him doing the vocals as well! The music soothed and calmed me in a way that's unexplainable. Truly an awesome piece of work. 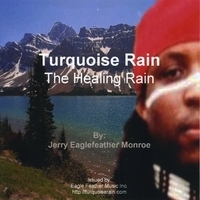 This cd Turqoise Rain is very inspiring and uplifting . 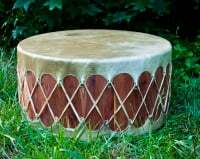 I realy like this music because it also alows me me to honor my Black Native American hertiage. 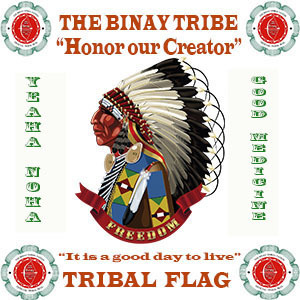 I thank the Great Spirit everyday for alowing Chief Eaglefeather to make a cd like this. Awsome! The peace generated from the spirit of this artist's music is just Awsome! Chief Jerry Eagle Feather Monroe is an anointed musician truly blessed by the Creator. Keep up the great work. WOW! Doesn't matter that he put Christian, this guy is connected with the Creator for sure. I'm loving it!